What does Warner Bros have planned? It looks like they are setting certain Harry Potter projects aside. The other spinoff mini-book Quidditch Through The Ages. The Quidditch teams Wimbourne Wasps, Chudley Cannons, Kenmare Kestrels. The Quidditch expert Kennilworthy Whisp, and fictitious author of Quidditch Through The Ages. Newt Scamander, the fictitious author of Fantastic Beasts. The Potter book-within-a-book Tales Of Beedle The Bard. Are you intrigued by what some are speculating to be a Quidditch movie? If you haven’t seen the trailer for The Internship yet, you should see it on the film’s IMDb page, because it’s a rather humorous trailer. The movie is about two old-fashioned salesmen who lose their jobs and in a desperate attempt to propel themselves into the digital age find themselves applying for- and getting- internships at Google. Sorry for the lack of videos (just follow the links to view), but here’s a picture! The Internship is rated PG-13, but was originally rated R, so view at you own discretion! 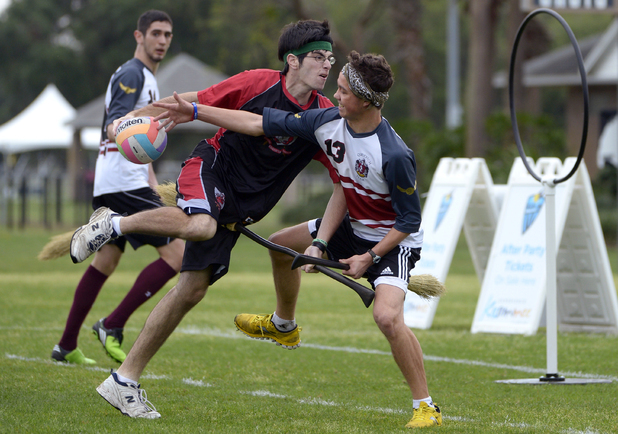 More than 1,600 players have gathered for the Quidditch World Cup in the US. One of J. K. Rowling’s most entertaining creations is Quidditch. The game, famous throughout the Harry Potter series, has been translated into a real-life game. The popularity of “Muggle” Quidditch has risen immensely. Colleges and other organizations form their own leagues, such as UNC Wilmington, who, according to WECT Wilmington, played a charity match at Wrightsville Beach. UNC Wilmington formed a team last semester, and Saturday, they held their first tournament at Wrightsville Beach. A total of 60 students from across the U.S. joined in on the fun. Students who participated say that they grew up loving Harry Potter, so it’s great to be able to bring the books to life. All of the money raised will go to dropout prevention programs run by Communities in Schools of Cape Fear. Who here has played Quidditch before? 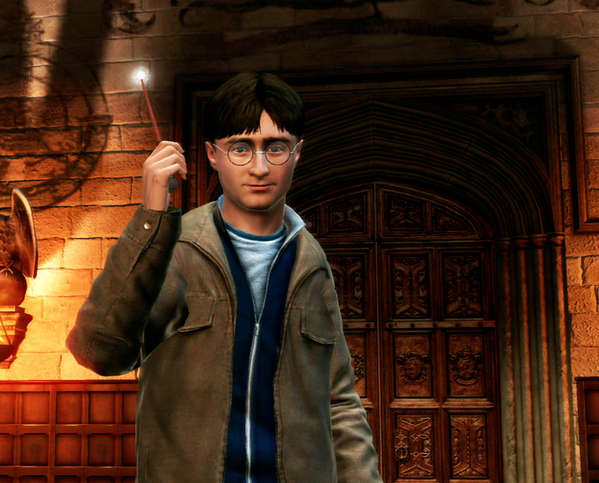 Harry Potter video games are, and will always be, awesome. 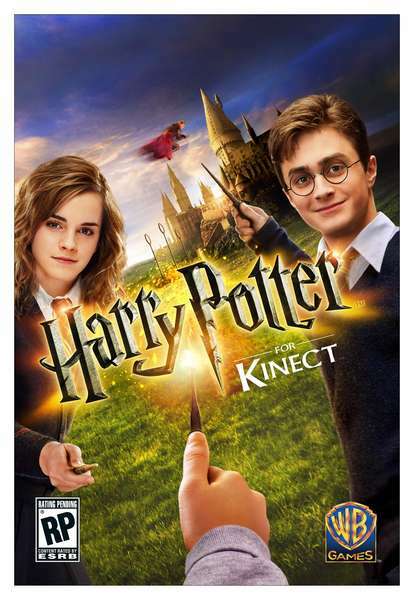 The new Kinect Harry Potter game, however, may be the best of them all. Here’s the report at Snitch Seeker.com. 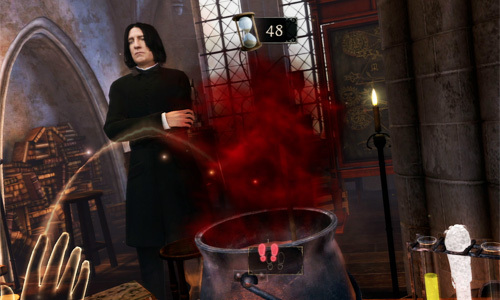 Warner Bros. Interactive Entertainment has released the box art and new screenshots for its upcoming Harry Potter for Kinect videogame to gear up for gamescom 2012. 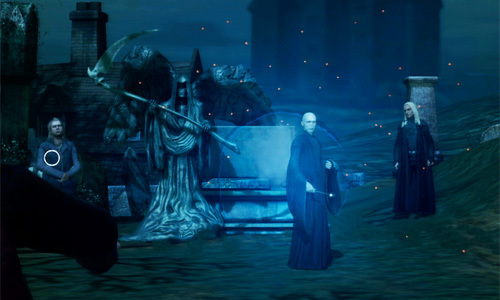 The new screenshots depict memorable moments from the Harry Potter films that players can experience in the game, such as being Sorted as a first-year student at Hogwarts, playing Quidditch, and battling Voldemort and the Death Eaters. The all-new Harry Potter for Kinect video game exclusively on KINECT™ for Xbox 360® allows players to experience Hogwarts School of Witchcraft and Wizardry and the wizarding world like never before! Through the innovative KINECT capability, each player can scan their face to create a wizard avatar in their likeness – and then play as their avatar in the game. 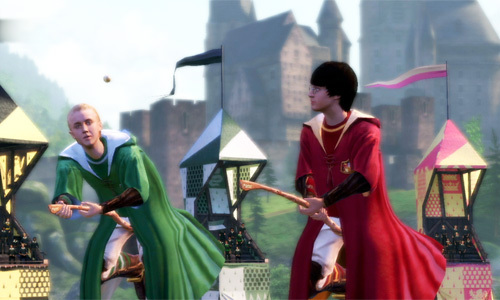 Utilizing controller-free and voice recognition technology available only on KINECT, players will attend Hogwarts, interact with professors, students and friends, call out spells to cast against opponents, brew potions, and even fly as they race on broomsticks to be the first to catch the Golden Snitch in a Quidditch match. Who else is excited for the game? Thanks to Digital Spy, we get a little behind-the-scene clip from the Wizard’s Collection DVD/Blu Ray set, where the Quidditch scene from the Chamber of Secrets is discussed. And you can get a glimpse of a young Daniel Radcliffe and Tom Felton discuss what they’re supposed to do. A new behind-the-scenes video from the Harry Potter Wizard’s Collection has debuted online. In the 90-second preview, released through Sugarscape, a young Daniel Radcliffe and Tom Felton are seen playfully squabbling on Quidditch brooms as they prepare to film a scene from Harry Potter and the Chamber of Secrets. Director Chris Columbus also discusses the teething problems with effects in the early movies, saying: “The visual effects in the first film were done towards the end of shooting. So we didn’t have enough time to really get them to where we wanted them to be. To read the full article, go to Digital Spy. Secondly, we finally have the winners of our Fan-Art Contest! Our first place winner is…..
Miranda Wallace, who sent us a picture of this HP blanket she crocheted! Thanks so much to all of our entrants! We appreciate the awesome art you sent us! Also, thanks to our Fandom Admins, who voted for the winners! Thanks, guys!